At 8h on September the 3rd SCOUTS SA’s fil Learn it Young. Remember it forever. just passed 1 million views. 48 hours prior it had 15 000. No paid media. Truly organic. 12 million South Africans live in extreme poverty. Scouting empowers children to #BePrepared and gives them the tools to overcome real challenges. Let’s share Scouting with children who don’t have access to thorough education or healthy extracurricular activities. 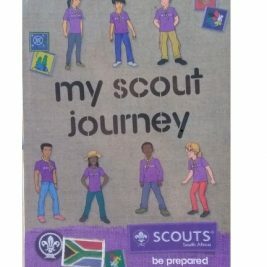 Help SCOUTS South Africa give children the chance to learn skills they need to thrive. Empower a child and impact a community… watch and share this video with all your Scouting friends! #BePrepared.